With the advance in inverter technology, easy to use welders are more cost effective than ever before but your welder is only as good as your experience at operating it. If you are new to welding or are testing your skill level and are just not sure why it isn’t all going to plan. Please feel free to call us for advice. 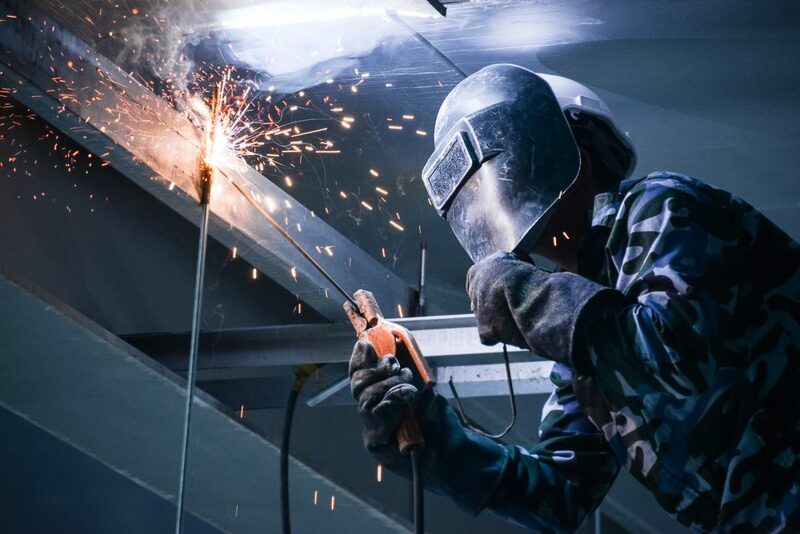 Safety is paramount and you should never weld without the correct protective clothing, gloves, eye protection and mask. If you need protective clothing drop in and we will sort you out. Neat cuts: Once you have your plan carry out an accurate measure up and list your exact sizes so we can professionally cut your lengths to size. Trying to cut them at home with a hacksaw or grinder will leave you with uneven cuts that will be more difficult set out square and weld. Preparing Surfaces: All surfaces to be welded must be grinded back to bare metal and be free of dirt and grease. Rusty surface will not bond as successfully as clean surface. Grounding cable: The grounding cable must also be attached to a clean bare section of the steel you are welding, bad grounding is a common problem. Also check the condition of the attachment between grounding cable and clip. Amperage Settings: This is where most people get lost, amperage setting vary depending on what size/type of rod or wire you are using, thickness and type of metals being welded. The smaller rod and metal size the smaller amperage required and slower welding movement. The higher amperage is for bigger rods or wire and thicker steels. It takes practice to get it right so always test weld on a piece of scrap metal the same size as you intend on welding first. Welding Accessories: Accessories like heavy duty magnetic squares make setting out and securing you steel for welding a dream. Painting Welds: Once you weld has cooled down give it a good clean with a wire brush and a cleaning solvent, than paint it with a metal primer or cold gal spray. Happy Welding and be safe. Contact us today and talk to your true local professionals.